In this lesson we will show you how to draw Lois Griffin – one of the main characters of Family Guy. 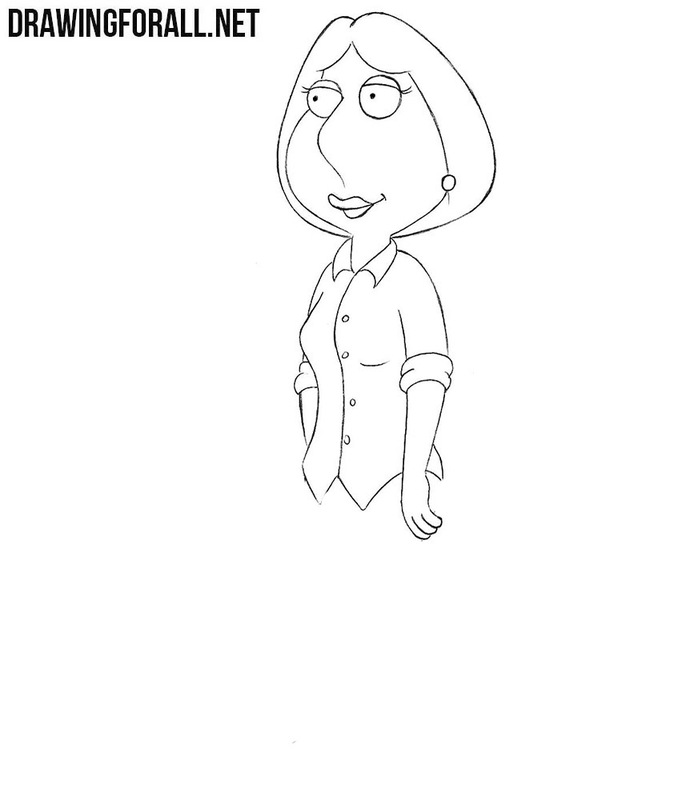 Note that this lesson will be done a bit differently than we usually draw characters from Lois Griffin. 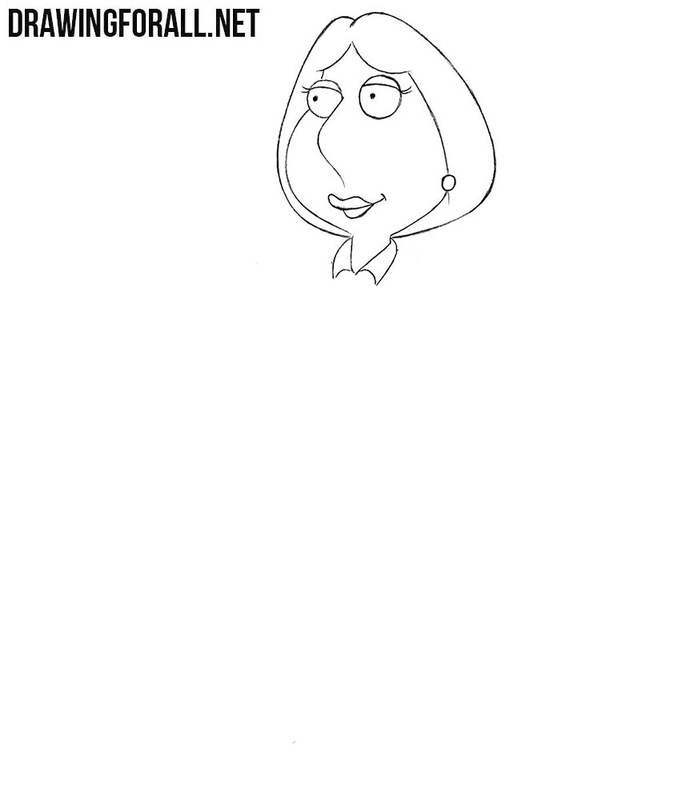 First of all draw round eyes and a characteristic nose of Lois Griffin. A very simple step in which we draw eyelids, eyelashes and pupils in the form of dots. 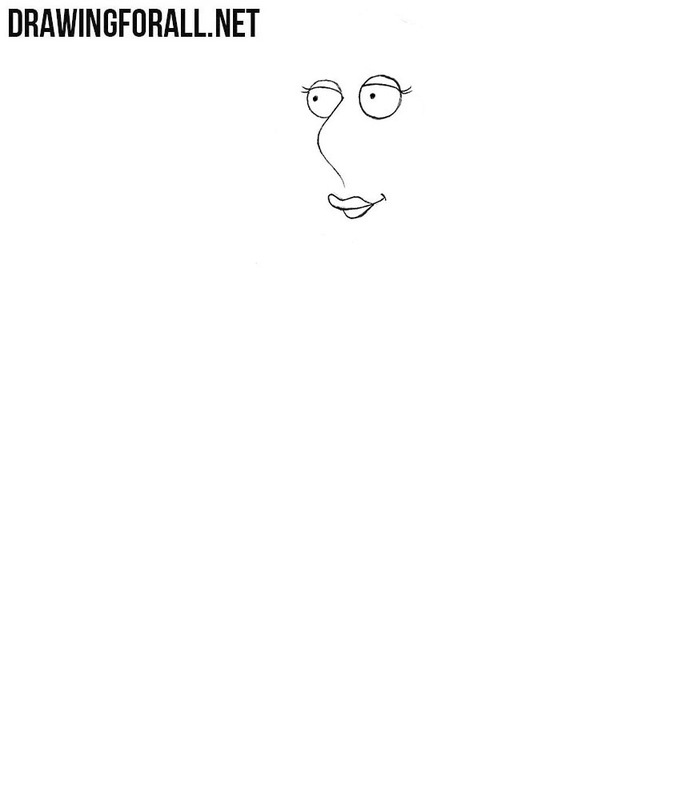 Draw out a smiling mouth and lips as shown in our example. This step will be a little more difficult – here we need to draw out the outlines of the face, hairstyle and round earring. 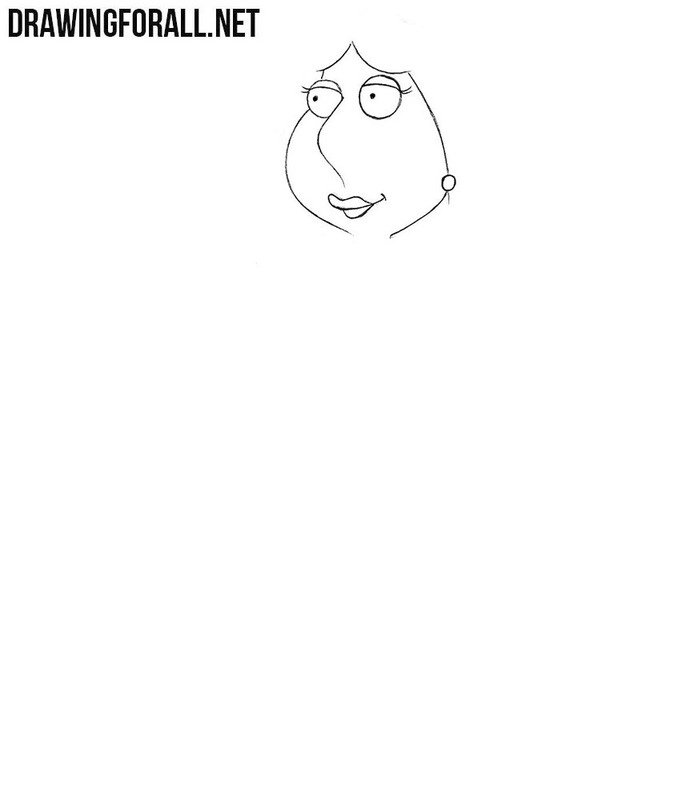 Now with the help of smooth and curved lines we draw out the outline of a short hairstyle. A very short step in which you will draw out the neck and collar of the shirt. Continue to draw a shirt. Draw out the shoulders, the outlines of the torso and the sleeves. And here we finish drawing the shirt. Draw out the bottom edge of the shirt and buttons. Draw the hands. Note that the characters of the Family Guy have four fingers on their hands like the Simpsons characters. With the help of several smooth lines draw the legs of our today’s character. 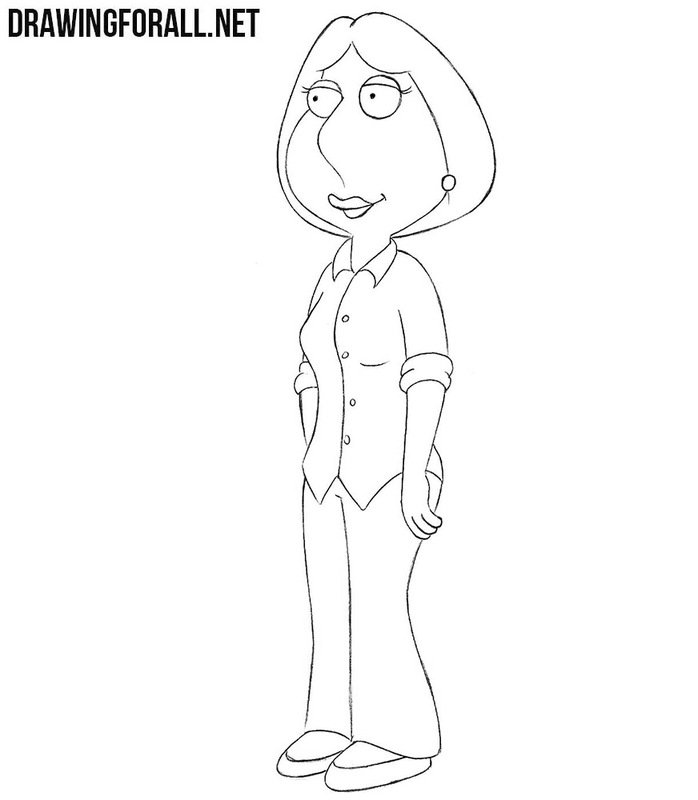 And the last step of the tutorial about how to draw Lois Griffin in which we draw out the shoes. It was a drawing tutorial about Lois Griffin from Family Guy, and now you can draw this character. If you want to learn drawing other character, then write to us about it, and we will most likely do this drawing lesson for you. 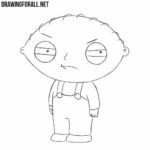 And by the way, do not forget that in the category called “Cartoons” on our site there are a lot of characters from the famous animated series. So go there and continue to learn how to draw.